As a creative agency, we are constantly chasing new design projects – or rather, we’re looking for new opportunities to push ourselves. With that comes our natural instinct to search for inspiration. 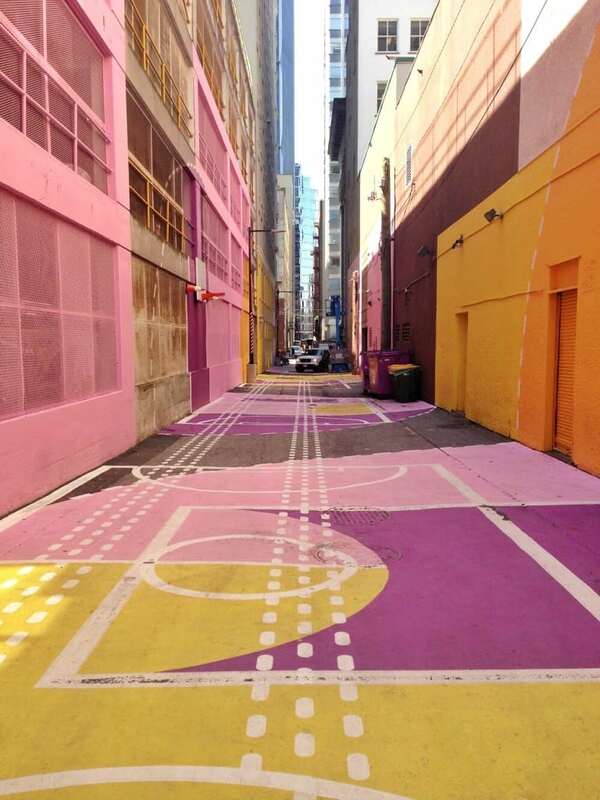 Lately, we just can’t help but notice the incredible design work in our very own city. So we’re here to showcase some of the hidden, locally produced and visually stunning treasures we see in Vancouver. Introducing: Design Where You Least Expect It! We all know it rains in Vancouver. A lot. And while it helps to make our grass green, it can get a little grey for us from time to time. Particularly for our 9 to 5ers working downtown, hardly seeing any colour besides the green from an Excel spreadsheet or a Starbucks cup. Have no fear, the collaboration from DVBIA, the City of Vancouver and HCMA is here! This collaborative trio set out to brighten our days by giving the alley between Seymour and Granville a colourful face lift. 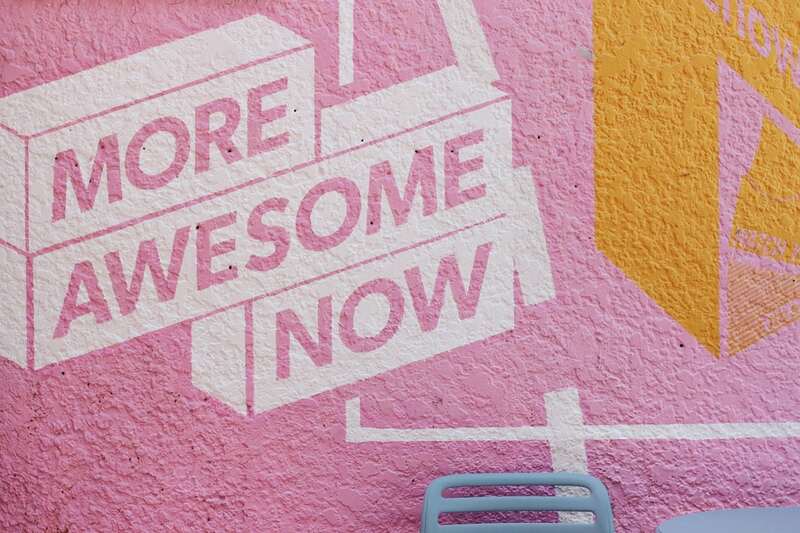 The project originates as part of the “More Awesome Now” campaign, which seeks to reimagine our current network of downtown walkways – but awesome doesn’t even begin to describe it! Besides the odd person taking a shortcut to get to work and the frequent delivery trucks passing through, Vancouver alleys are built for efficiency and less so for enjoyment. This project took a modern approach to a laneway. In the past, functionality trumped form. But now that functionality is already established, form is becoming an end point to drive a reinvigorated purpose. While the alley is still performing the same old functions, its fresh design creates a new functionality that facilitates life in the form of community and enjoyment. This next spot is well known to downtown drivers who, after searching for half an hour for a parking spot on the street, finally decide to bite the bullet and park in one of the overpriced lots. Nestled into the middle of a parkade across from the Woodward building, this spot helps those mad motorists relax with bright pops of colours. The scenic route to the top has never been so pleasant! 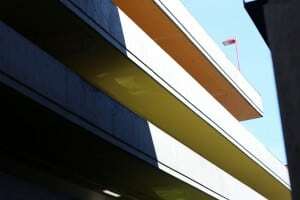 There are two colourful elements to this parkade. 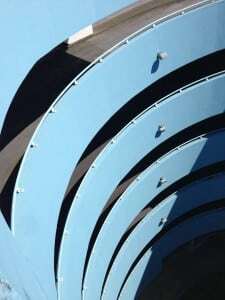 First and foremost, we have the iconic blue spiralling ramp. The combination of curvature and blue helps to make this aspect extremely eye catching. Catch it under the right lighting and you’ll be sure to get a nice shot of this architectural design. Then, the designers took the parkade one step further and coloured each floor’s roof a different hue. We imagine it’s because no one (mostly us) can ever remember which floor they parked on… was it 3 or 4? From the bottom looking up you get a clean rainbow pattern, and an easy way to find your car! And as if that wasn’t enough, an added bonus can be found if you head up to roof. There you’ll find what can best be described as a private patio view of the Harbour Centre, the Port and the Burrard Inlet! If you’re loving these gems, then give us a follow on our Instagram or Facebook for more design inspiration from our talented team! Eye of the Intern: Half Way Through!